External motivation is easy to find. Do you want to knock that guy in the gym that’s almost always bullying you? Train hard and find a way to do so in the ring.Do you want to do a higher and much more powerful round kick? Work on your stretches and kick some more. 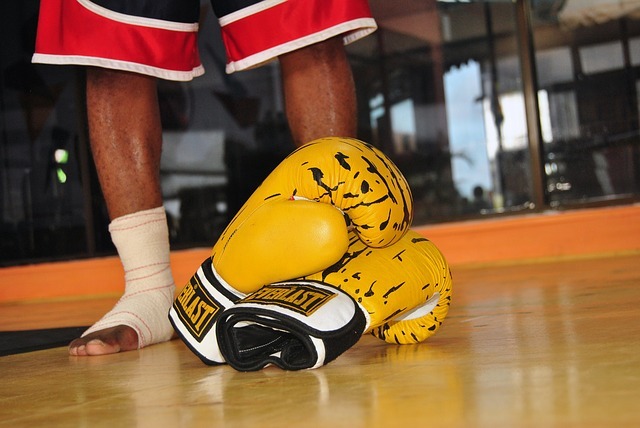 Do you want to be a better Muay Thai fighter? Of course, all you need to do is to train harder, and so on and so forth. Sounds easy, right? Well, it is. Not child’s play, but finding the external motivation to keep on going is easier, especially when you compare it to finding motivation within yourself. Internal motivation is within you. It’s not that you want to knock the other guy out, it’s just that you want to be THE GUY who wants to knock other people out. It’s not that you want to be a better fighter, it’s just that you want to be THE FIGHTER. And, well, that’s not exactly so easy to find and once you lose sight of that drive within yourself, it’s going to take a lot of effort for you to get it back. If you’ve found yourself falling in that particular slump, you can rest easy knowing that everyone goes through it sometimes. But, saying that won’t really help much, won’t it? So, to help you get through that slump, here are a few valuable tips you’ll want to apply to yourself. Take videos of yourself training. This isn’t for bragging purposes. This is for you to dissect yourself. This is for you to know how you can improve and what you’re doing wrong. This is for you to feel motivated to work on the “little things” that you thought that you’ve already perfected. And, eventually, this is for you to see just how much you’ve progressed over time. Focus on yourself. Whether you have an upcoming fight, or just came from a loss, one thing that you need to remember that your only sole focus should be yourself. Your goals should revolve around YOU, and not trying to be better than someone else. Why? Because you won’t know what to do next after you’ve beaten the one person who you thought was better than you. So, instead of focusing on others, focus on yourself because YOU HAVE NO LIMITS. Take the good with the bad. In Muay Thai, it’s not always going to be sunshine and rain. There’ll be times that you won’t be seeing any progression and feel like you just hit a huge wall. While it’s easy to think that you can just bust through that wall, that’s not always the best option. Sometimes, you just have to take the good with the bad. For example, if you felt like you’ve reached your potential in one particular area, why not try focusing on others instead of moping around? Remember, that drive to succeed and the motivation to help keep you going in your training should never be placed in the hands of others. You and you alone should be your own inspiration and motivation.